Get Paper-based patient data into the EMR faster and easier. 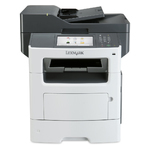 Lexmark Point of Care Scanning for HIMSS Stage 7 leverages the power of your MFP to streamline, simplify and enhance the capture of clinical information, all right at the point of care. 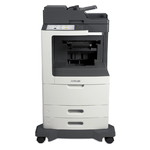 Automate sorting and indexing right at the MFP. Use space resources more efficiently. Accelerate revenue cycles with faster processing. Support patient care with clinical data in EMR faster. Meeting HIMSS Stage 7 scanning requirements is easier said than done. Transporting, sorting and indexing paperwork creates complexity by slowing the flow of information and impacting revenue cycles. And that’s just the beginning of challenges associated with paper records processing. You have to consider timely scanning, delayed revenue cycles, and space limitations in clinical areas. 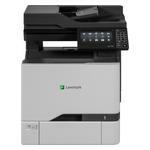 Lexmark Point of Care Scanning for HIMSS Stage 7 leverages the power of your MFP to streamline, simplify and enhance the capture of clinical information, all right at the point of care. Plus customizable solution levels integrate seamlessly with existing systems and vendors to meet your hospital’s requirements, wherever you are in the HIMSS Stage 7 attainment process. Our partnership with EDCO and our Solarity Connector is just one example. Whether you are looking to improve care, get the most out of existing systems or shorten revenue cycles, Point of Care Scanning delivers powerful features to add value to every step of patient record processing. Scan directly to the HIM via a easy-to-use and customizable user interface with document previews and other user-friendly features to speed implementation and encourage adoption. The state of point of care capture, it’s challenges and best practices for HIM professionals.